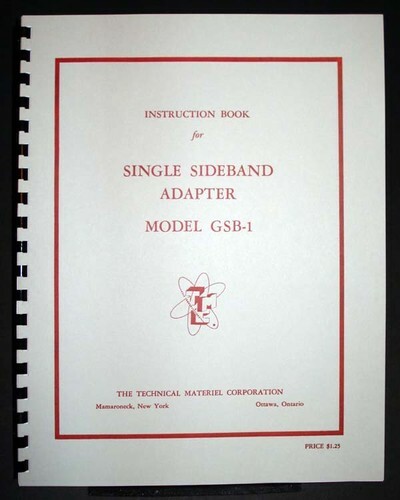 For sale is reprint of TMC GSB-1 Single Sideband Converter Manual dated 1957. 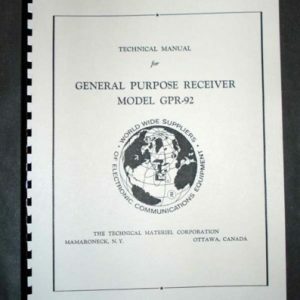 Manual is 22 pages long and includes 11″x17″ foldout of Circuit Diagram. 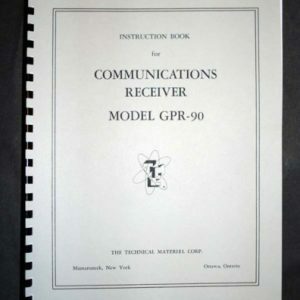 Manual includes sections on General Description, Installation, Operation, Alignment and detailed part list. TMC GSB-1 SSB Converter is a companion to matching GPR-90 HF receiver. Must if you own GSB-1.